Experience the world`s highest commercial abseil! This is a thrilling experience of adrenaline and achievement - a 112 metre controlled descent off Table Mountain. Step off the top, at 1000 meters above sea level and rappel into pure vertical space. This is the world`s highest commercial abseil. You are surrounded by awesome views and the deep blue Atlantic at your feet. Walk with your guide or use the Cable Way to meet your guide at the top of Table Mountain. 112m Abseil at 1067m above Sea level. We are OPEN 7 days a week between 10:00 – 15:00. Weather Dependent. The whole Abseil experience takes approximately 45min- 1hr incl, a safety demonstration, the abseil and a pleasant 30 min hike back to the top. Once clients are back at the top, they take the cable car back down (Return Cableway Ticket needed). Availability: This experience runs daily, subject to availability. Who: It is necessary to have a moderate level of fitness in order to participate in this experience. All participants should be in good health. Numbers: This experience is for 1 person. It is likely that other participants will enjoy the experience with you. Groups can be accommodated, group rates apply. Weather: Cape Town`s weather is fickle. Once booked you will be advised to call the experience vendor on the day to ensure that abseiling will go ahead. If experiences are cancelled due to the weather, you will be allowed to rebook. What to take: You will need to take warm clothing regardless if it is a hot day. Food and water, sun block, a hat and your camera. It is best to wear trainers. Mountaineering shoes aren`t necessary but definitely take a long sleeve jumper/sweater even if the weather is great. Duration: Abseiling takes place between 10h00 and 16h00 daily, weather permitting. Additional Information: Please note that arrival times vary with numbers and fitness of groups. There is no maximum weight restriction. A comfortable fit of the harness is the key factor. There is a minimum weight requirement of 40kg. If you aren`t walking to the top of Table Mountain you can see www.tablemountain.net for updated prices and cable car times. You are advised to take the cable car at least one hour before your booked abseil time. If you would like to walk up Table Mountain to the abseil point, the recommended route is up Platteklip Gorge and takes an average of 2-3 hours. Once at the top you are advised to meet the abseiling guides who will provide you with a brief and ask you to sign an indemnity form. All participants are required to sign an indemnity form. 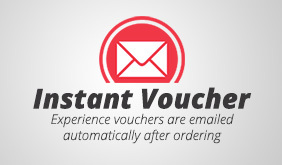 This experience includes a service fee and e-voucher. This experience package excludes Cable Car fees.